“One bite is all it takes” is the tag line of popular Galveston Island restaurant, Mosquito Cafe. This casual counter service style café is perfectly situated in a rather residential part of the island and offers customers a variety of fresh menu choices for breakfast, lunch, and dinner. Mosquito Café serves breakfast, lunch, and dinner and no matter who you ask on Galveston Island, everyone seems to have their favorite meal. Despite the fact that Galveston is well known for its seafood, this may be the only restaurant on the island without some sort of fried seafood on the menu We arrived for dinner, and had the option of ordering off the lunch or dinner menu. The lunch menu includes soups, salads, sandwiches, and burgers among other things, all fresh and made to order. The dinner menu includes items such as fish tacos, meatloaf, and a variety of blackboard specials. 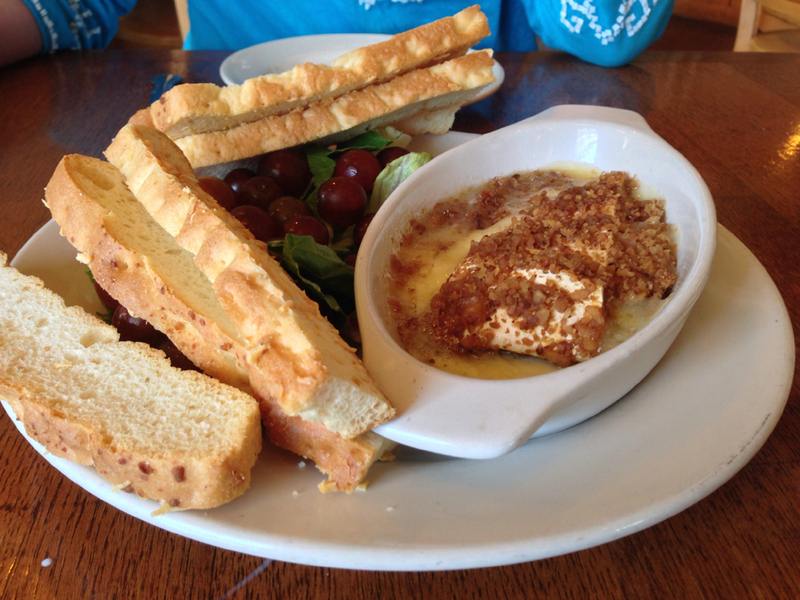 Our meal began with an appetizer of walnut crusted brie served with toast and grapes. Bubbly, warm and delicious, it was enough to turn us into instant fans of the Mosquito Café, even those that thought they didn’t like brie. For dinner, we ordered the Turkey Divinity Sandwich from the lunch menu. Roasted turkey with brie, bacon, grilled apples, red leaf lettuce and garlic herb mayo on a French baguette, was love at first bite. 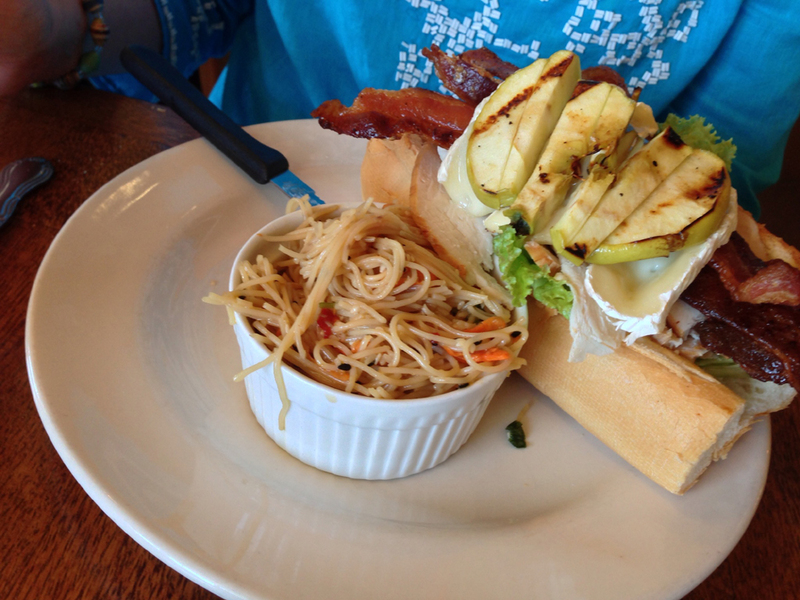 Although I was a little skeptical of grilled apples on a sandwich, they were the perfect tart compliment to the melted brie, turkey, and bacon. On the menu, sandwiches also come with a side. While there are several choices, the best has to be the Thai garlic noodles. 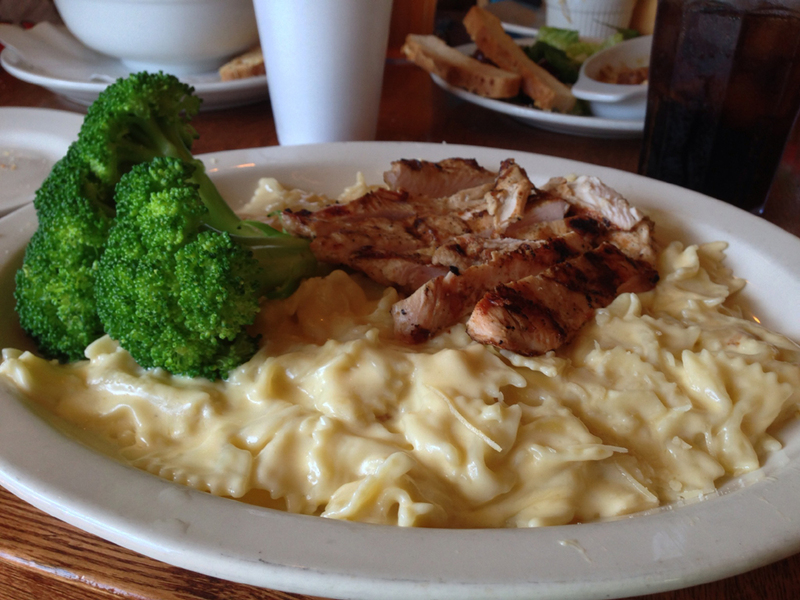 From the dinner menu, we ordered the Triple Cheese Mac with grilled chicken and veggie of the day. The entree came highly recommended by our server and was farfalle pasta was covered in their famous cheese sauce, which is a blend of Tillamook cheddar, mozzarella, and Parmesan cheeses. The recommendation was a success and the cheese sauce was fantastic. The junior member of our group had the child’s pasta, which was also farfalle, with marinara and Parmesan cheese on the side. 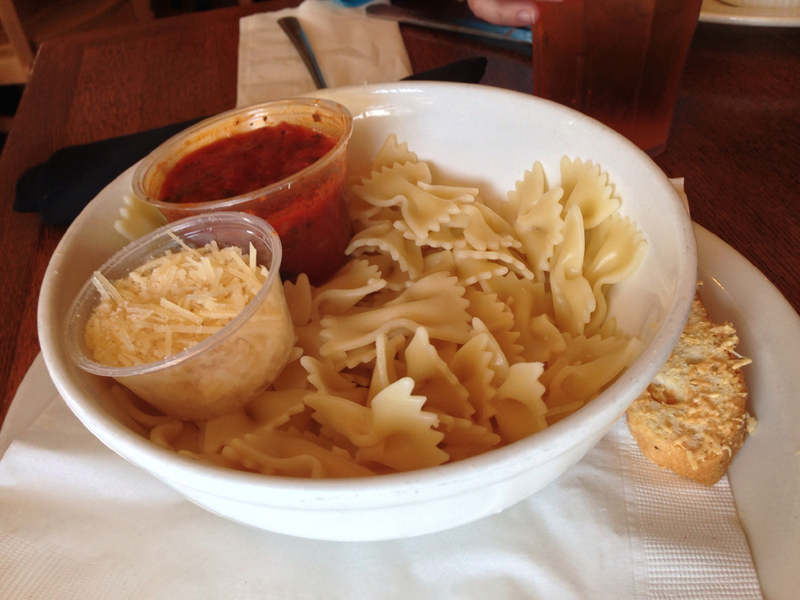 Our occasionally picky eater enjoyed having the items on the side and being able to mix the pasta himself. 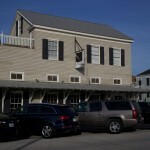 The Mosquito Cafe is located at 628 14th Street, in Galveston, Texas. The cafe can be found on the web at www.MosquitoCafe.com as well as on Facebook. This entry was posted in Eat Like a Local, Foodie Tales and tagged bacon, baked brie, brie, child's pasta, fish tacos, Galveston, Galveston Island, Galveston Texas, garlic herb mayo on a French baguette, grilled apples, meatloaf, Mosquito Café, Mosquito Café Galveston Texas, Mozzarella, One bite is all it takes, Parmesan cheeses, red leaf lettuce, Roasted turkey, Texas, Thai garlic noodles, Tillamook cheddar, Triple Cheese Mac, Triple Cheese Mac with grilled chicken, Turkey Divinity Sandwich, walnut crusted brie, warm brie by Christy Holland. Bookmark the permalink.